Akureyri is sometimes known as “Iceland’s capital in the North” is a beautiful small town in Northern Iceland. The harbour is ice free, making it an important port and fishing area. The town is surrounded by mountains, and although it is only 100 km away from the Arctic Circle, it is one of the warmest places in Iceland. The landscape and biosphere in Akureyri is extremely diverse , and in many places the vegetation is very lush. The Botanical Garden is known for its beautiful walking paths, it contains nearly every Icelandic plant. 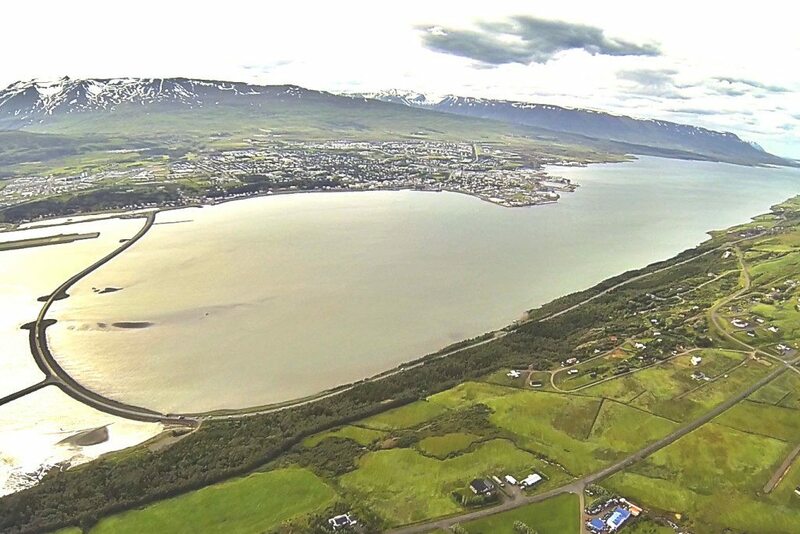 Akureyri is on the other side of the island from Reykjavík but our helicopters can still take you there!